This might explain why my mini books are so FAT! LOVE them...they'll get embossed, then inked...or maybe stamped?? LOTS of possibilities! second time in 2 weeks...YIKES! if I'm lucky enough to get that far on the TO-DO list...fingers crossed! I'll be back on Monday...I think. 1. Love the Perfectly Practical Pocket Journel. Will that be an Orlando class??? 2. Whose booth are you demoing in at the Columbus show??? 3. love the idea of the perfectly practical pocket journal (say that 10 times fast). OK I have to ask what color did you the background stamping? I share your love for that bundled sage- gotta have it! tumbled glass, bundled sage and brushed corduroy. LOVE LOVE LOVE the 3 used together! 4. I see in your ink drawer that you have the adirondack inks too. I have them, but since the distress i forgot them. Do you have any ideas to share using the dye inks? I DO! That's a post for another day! Stay tuned. 5. I was sure I knew ALL your stamps. What sheet is the text butterfly on? You used it on the class photo. I'm on the hunt.. I must have it. It's my current most reached for favorite background. to change up the look. 6. I LOVE the hanging & the book...can you do those in the store or only at conventions? I guess we could just make it a 4 hour store class & do both. I aim to please! 7. THANK YOU for the larger roses stamps. They are so wonderful and are a great addition. I like the 3 sizes together. so I make the rules! with a splash of sunflower sparkle Perfect Pearls. The chick is adorned with barn door flowers and a stormy sky butterfly. Rick commented that he liked the "chink-a-do-ola" hanging from her hat. This is aka a Maya Road chandelier trinket bead, dear hubby! the textured canvas side stamped with the register stamp. I had an ahhh ha moment & realized that the small scroll is a perfect fit for the large butterfly. I spent the weekend designing 2 new workshops that I'll teach @ 2 conventions this year. and also @ Stamp Fest in Orlando, Florida. The classes in Madison, Wisconsin will be different. 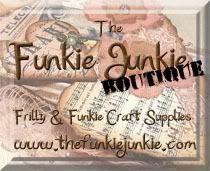 I will be @ Memories Scrapbooking Expo in Columbus, Ohio, but I will be demoing...not offering classes there. We're allowed 2 hours for each convention class & my goal is for everyone to have fun, learn something new and leave with their projects completed. ready to protect and inspire. The second is called the perfectly practical pocket journal. It's constructed completely from grungeboard & grungepaper, so it's perfect to toss in a purse or tote and GO...with NO worries about it being bent or damaged! The pages are blank...perfect for journaling, to use as an idea center, or even for your grocery list! I have sent PayPal requests to everyone who has ordered books, but I'm hearing that in some instances, they got banished to the spam folder. YIKES! and it they are missing, please just let me know & I can resend them. How could I forget this?? Hey...this proves I'm old! 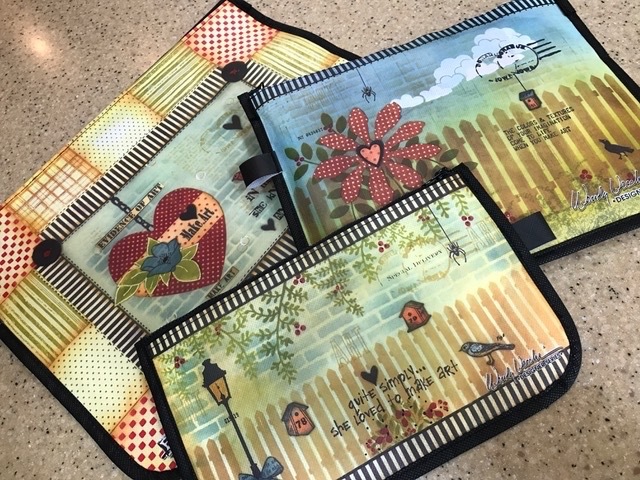 When we introduced the new smaller sized studio 490 stamp sets @ CHA, we got emails & questions about offering a smaller acrylic storage binder to store just the smaller sets. we found out that you didn't want to wait! I like that...IMPATIENT...just like ME! we now have a small size acrylic binder coming soon. No waiting 'til after CHA summer. It's the same heavy acrylic, but with 2 holes & 2 giant binding rings & it will sell for $14.95. I'll let you know when it's manufactured & ready to ship. #1...Since the Perfect Medium is stickier, do you need a special cleaner to remove it from your stamps? but I put Ranger's Rub-it Scrub-it pad in the bottom of my sink & squirt a little DAWN dishwashing soap on it. A quick rub & they're ready to go. #2...how do you store your inks? I'm redoing my space & need some ideas. they fit perfect & the colors were easy to see, by labeling the sides of the inkpads. I stand @ my island to create & right behind me is a base cabinet, with a sink, drawers and storage. This is a partial shot of my ink storage. #3...do you know when your new stamps arrive in holland? Orders are shipped by Stampers Anonymous, in the order they were received. So, stores who order on the first day @ CHA are at the top of the list to receive them. #4...over 150 comments. do you really read them all? YOU BET WE DO & we LOVE every minute of it! It's no fun to talk to myself! THANK YOU x 230+++ for all the comments. Here is my story...I don't have a BARN DOOR to open and store my distress inks in. However...I would CRUSH OLIVES and eat FOREST MOSS. I would walk on TUMBLED GLASS while wearing my CHIPPED SAPPHIRE ring, carring BUNDLED SAGE with a STORMY SKY. After doing that I would have to use my PUMICE STONE on a RUSTY HINGE(and my feet). 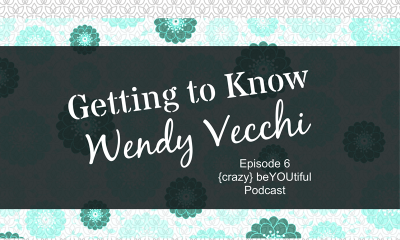 When I am done I will dress in my VICTORIAN VELVET and enjoy some SPUN SUGAR and WILD HONEY all while reading Wendy's blog. That's my story and I am sticking to it! Again...a MILLION thanks to my friends @ RANGER for their generous blog giveaway. That was FUN! And a MILLION thanks to everyone who took the time to leave a comment. the Ranger giveaway box arrived yesterday! 180 of the NEW distress ink colors...yes...180! and LOTS more workshop supplies. I DO practice what I preach! #1...PS. Did you use the Sage distress ink on the cover project? Any other colors? long before we got the new distress colors. Because the distress inks stay wet longer, you can create custom colors, which is what I did for this art. I blended broken china and brushed corduroy. The background color is brushed corduroy used alone. 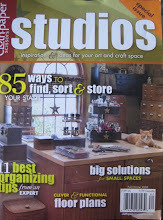 #2...I love the magazine cover and was wondering if you would share where to purchase the bird cage. That cutie is made by Maya Road and comes in a set with birds, wings and cages. VERY FUN! Yes, the bird is also from Maya Road and the wing is made with grungepaper. 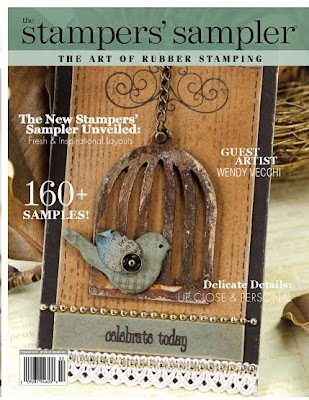 Details in Stampers Sampler! #4. I know you told us in class you use Perfect Medium, but I forgot why. I use Perfect Medium for embossing, watermarks and to adhere Perfect Pearls. I LOVE it because it seems extra sticky and with this one pad, I have multiple uses. Maybe you can give lessons on tweeting - I don't get it. I get facebook, texting, etc. and I am "computer literate" but just can't seem to get tweeting. There's NO way you'd ever want any techno info from me...phew...never! many THANKS for all the book orders yesterday and for all the kind words! I sincerely appreciate it! to be given away here. you'll need to leave a comment. then I'll ask Justin to choose the winner. Hey...I don't want that responsibility! the Maya Road SEW CUTE minis (hangers, dressforms & more) have arrived! texts, tweets and a twit! but now he calls me a TWIT! I have my friend, Leandra to thank for that! Tuesday-ish or for sure Wednesday & ready to ship out. I will send a PayPal request to those who have asked to be put on a notify list. You can now email me (wbv1213@hughes.net) to order, and I will send you a PayPal request. Please let me know if you live in the US or outside, for shipping purposes. just let me know if you want your name on it, or if it is a gift for a friend, then I'll need their name. I added an extra scrap of chipboard to the back of each Maya Road house to attach it firmly to the ruler. Then...to make the ruler stand, I added a wooden block. the back ...not so much... but it works! I've used this idea several times. I'm totally thrilled with the photography & layout! it's back to arranging flights & other inky business for me. The first will be @ For Keeps Sake in St. Louis, Saturday April 24th. the second has been offered to a store...we'll see. And how does BIKINI fit in with shoes? Susan had a birthday recently and a group member, HELENE HUBER sent her a card. VERY UNIQUE use for some studio 490 stamps. or a little girls birthday invite, and obviously a fun card. THANK YOU FOR 94 comments!! LOVE TO MAKE ART set. same technique, but this uses just denim (on sale! )for the background. 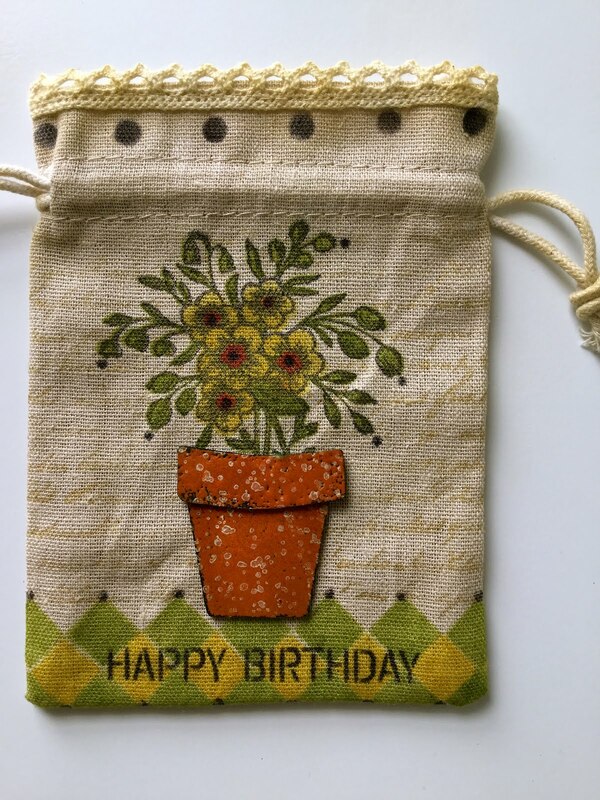 The flower ( a new tim Sizzix die) is inked with butterscotch pigment(it's on sale too!) and the stem is stamped with lettuce. you can see that the olive REALLY makes the saying pop, when stamped in jet black archival. Katrina will get a goodie package! Please email me with your info & some goodies will be headed your way! Hmmm...not sure when they will arrive...THEY??? THANK YOU to everyone @ STAMPERS ANONYMOUS for getting them made & shipped out quickly! I have a valentine tutorial, just for you! The pigment inks are a quick drying pigment ink, that provide opaque coverage. So, they are perfect for quickly inking chipboard or grunge. just blast them with the heat-it craft tool for a few seconds and you're ready to move on. So that's one way to use the inks...to provide complete coverage. But I found another way to use them, for a totally different look. you'll see that the look is very different with each. Make sure to work on your Ranger non stick craft sheet. To make the Perfect Pearls mist, add a small bit (what fits on the end of a popcycle stick) to an empty mini mister & fill 3/4 full with water. Shake to mix. Perfect pearls are set with water, so they won't rub off & no special stinky fixatives are needed. For this sample, I used Sunflower Sparkle Perfect Pearls and Ranger's Red Pepper & Denim pigment inks. 2. Lightly swipe the ink pads onto the craft sheet, placing the inks close together. 4. Place a manila tag over the area & swipe your hand across the back of the tag. that will mix the inks & make mud. trust me! DRY with the heat it craft tool & the tag will look like this, with a base coat of color. 5. Lightly tap the tag onto the remaining ink dots & pick them up. DRY...repeat picking up the ink dots until you are satisfied with the background. if you go too far, you KILL it & calling 911 will do you no good! trust me! It will look like this...notice the bling from the Perfect Pearls. 6. Using red pepper again, stamp the scallop 3 times as shown. I designed the scallop stamp as a time saver. I just change the color of the ink! 7. Using denim, stamp the register stamp & dry, with the heat tool. 8. Trim the bottom of the tag along the scallop, to make a scalloped edged tag. It's so EASY...& I LOVE the look! Use the gold Paint Dabber to edge the tag. I chose gold...but other coordinating dabber colors would be fine too. 9. Using jet black archival, stamp "with love" @ the bottom of the text. 10. Next, grab a scrap of grungepaper and stamp the heart, using jet black archival. Cut out the studio 490 heart. 11. Using the ink blending tool, lightly TAP the blending tool onto the red pepper pad. Don't rub...just tap lightly...pigment pads are foam. You can always go back & add more. 12. Stamp the 2 mini flowers on grungepaper scraps with jet black archival & cut out. Using denim, lightly apply ink with the ink blending tool. Use jet black archival to stamp the register stamp over the flowers. 13. Using olive archival, stamp the leaves onto grungeboard scraps. 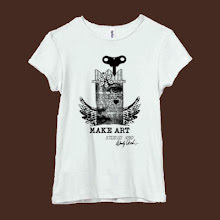 Cut out & ink with peeled paint, on the front & back. Curl each petal to shape. Stamp just the leaves from this flower, using jet black archival, onto a scrap of grungepaper. Cut out, ink with peeled paint (front & back) and overstamp with a background stamp and jet black archival. Add a threaded vintage button for the flower center. The finishing embellishments are a mini heart pin, from Maya Road and a bit of gingham ribbon, also from Maya Road. Pen stitch around the edge of the tag. Once again...thank you for being blog friends! ps...some teaching locations have been updated. I've had several questions recently about how to alter my acrylic stamp storage binders. They come naked, with 3 giant (3 inch) binding rings, so that they can be customized to coordinate with your decor. The binder makes it very easy to flip thru the pages of stamps, choose your stamp, use it & put it back on the storage sheet. It's so MUCH better than digging thru a box. You'll find that you will use them more often, because it's easy. blank pages can be added to the binder to store them too. One pages holds a lot, because you can store stamps on both sides of the blank sheet. Here's the first binder, which houses my first stamp release. If no one besides me liked them, there would be no VOL 2. I can safely call this one ...VOL 1! I stamped the border, using jet black archival ink. I carefully heat set it & you'll see that almost 2 years later, the stamping is still perfect. It's AMAZING, considering this has been sent across the country many times. words won't work on the inside, since they'll show up backward from the front. I used lots of grungeboard & grungepaper as my base for stamping on all the binders. the papers are all graphic 45 and are glued to a base paper. which is a combination of graphic 45 & jenni bowlin papers. VOL 4 in the previous post. So here's my suggestions for creating them. The goal is to see NO adhesive on the front. Remove the protective blue film. KEEP THE HOLES ON THE LEFT...trust me! 1. Choose the paper that will be inside the front cover. Keep it flat...the embellishments will be added to the front of the cover. Have it completely ready to go. 2. Lay the paper in place under the front cover, but do not use any adhesive yet. 3. Plan the layout on the front...lay everything in place & move it around until you are satisfied with the look. 4. Glue your largest embellishment to the front of the binder. 5. Open the binder & you'll see where the adhesive is, so put some adhesive there to hold the paper in place. Now, it's easy to keep words straight, by using the paper as a guide. 6. 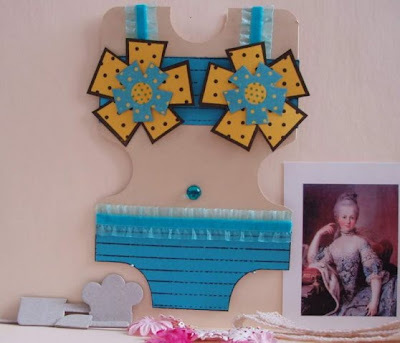 Add the rest of the embellishments on the front & glue in place. 7. Open the binder again & add adhesive in the adhesive spot areas and press the paper in place. It's just where there is something on the front to hide it. 9. TADA! CUSTOM...done & very fun! Glossy Accents, Art Glitter and Fabri-tac all work fine. but for this purpose, it's perfect. Just a tiny dot will hold the paper to the binder. Remember to be sparing with adhesives. A little goes a long way & you don't want to see any seeping out.